Many people tell us that the first time they heard about The Leprosy Mission was when somebody sent them one of our Christmas Cards or gifts. The easiest way to buy any of these to send or give is online through TLM Trading or one of our dedicated TLM Scotland pages (see below). There you will find a wide selection to choose from 24/7 for nearly every occasion. Some of the same goods available to buy online may also available when one of our team visits a church or group near you and at other events throughout the year. Check our events calendar to find out when we’ll be near you. If you are struggling to decide what to buy the person who has everything or want to give something a bit more meaningful, you might like to have a look at our Gifts for Life. Each gift is linked to one of The Leprosy Mission’s projects, every penny will be used to help somebody disadvantaged by leprosy. A Gift for Life is a gift that can change lives; giving far more than you might ever imagine. A Gift for Life gives hope and dignity; it can transform the lives of individuals, families or entire communities. There are three different ways that you can shop online with The Leprosy Mission Scotland. 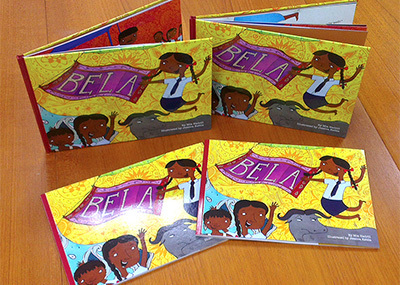 Our Amazon shop includes a number of books, and other products exclusive to The Leprosy Mission Scotland, including children’s story book Bela, recipe books and products based on the winning designs from the 2012 and 2013 Wipe Out Leprosy competitions. 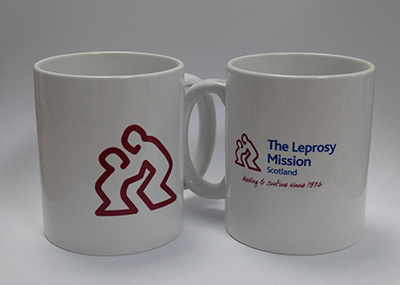 In our made-to-order shop you can buy a variety of goods with designs from The Leprosy Mission Scotland including products with our logo to show the world you support our work. The Leprosy Mission also has a wider range of products available on-line. These can be purchased through TLM Trading – a mail order company selling a wide range of gifts, greeting cards and books. Many of the products available from TLM Trading are made by people affected by leprosy or with other disabilities. All of your other online shopping can help people affected by leprosy too. We’re now on Amazon Smile which donates 0.5% to charitable organisations of your choice when you shop, at no extra cost to you! Log on with your Amazon account at Amazon Smile, select The Leprosy Mission Scotland and that’s it! Just remember to shop using the Amazon Smile link! You can also shop via Give As You Live at over 4,000 top online retailers. When you do Give As You Live will donate a percentage of every pound you spend to us. Your shopping will cost no more than it would have done otherwise, just start each online shopping journey at Give As You Live and from then on you won’t even notice a difference.